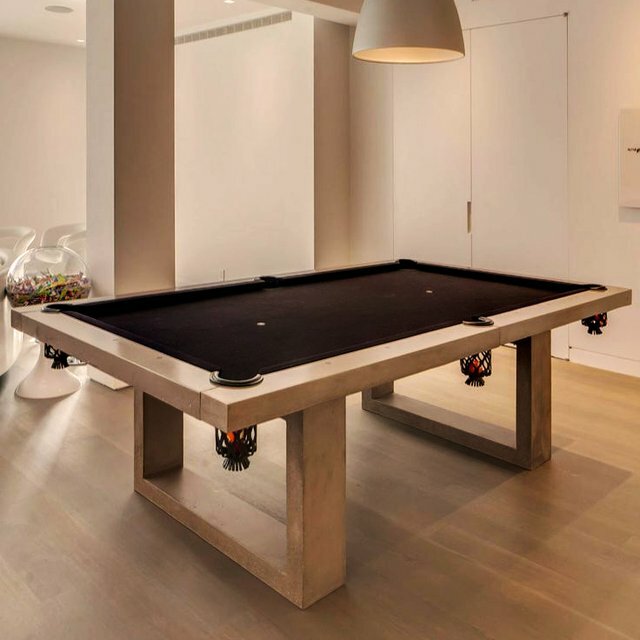 The Concrete Pool Table will complete your entertainment area, providing years of enjoyment for you and your family or guests. Can be used in a residential setting or, due to the strong design, this table is perfect for installation in apartment complexes, condos, and tourist resorts where increased usage is expected. Concrete and steel table with a felt top.